Two of the oldest houses on Eagle Hill that were built in the mid 1840’s for Shipjoiner William McKay’s family. It is a clapboard-sheathed house with Greek Revival embellishments. 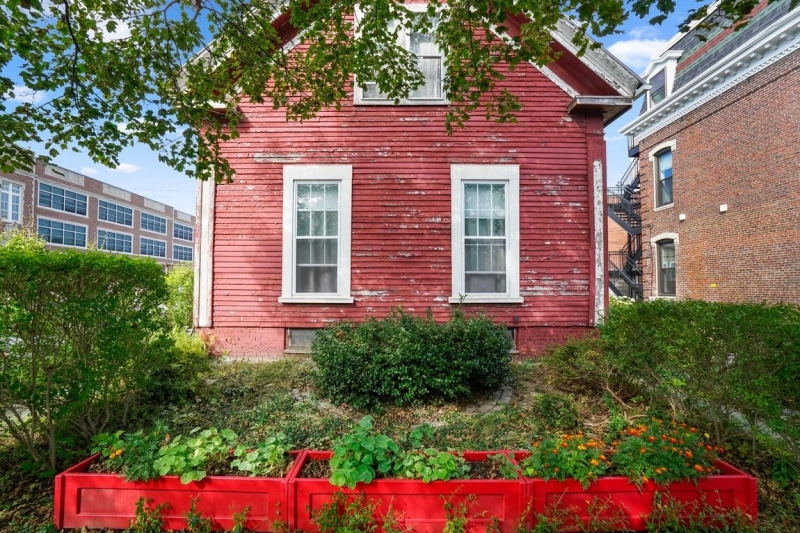 There is a smaller mansard roofed cottage in the rear of the 5500+/-square foot lot with a large garden dividing the buildings. The main house currently used as a single family boasts lots of original details. 9.5 foot ceilings on the first floor, beautiful foyer, large living room, huge kitchen, full bath and plenty of entertaining space. There are pretty hardwood floors and gorgeous moldings throughout. Upstairs features two bedrooms, lots of storage space, full bath and a laundry room. 88R White Street sits in the rear of the site needs full renovation and has been almost completely cleaned out to the studs with permits. Truly a unique opportunity to develop a single family with an additional income property, guest house, studio, office, or condos.